Over the past several years the Supreme Court has undergone substantial change. Not only has the face of the court shifted, but so has its center, with the departure of Justice Anthony Kennedy. Oral arguments offer the only vantage point into the interactions and dynamics between the justices and provide some context for how they might vote, along with possible voting coalitions. Through this lens we can get a sense of how these changes affected existing and newly appointed justices. This situation is obviously quite dynamic, as Justice Ruth Bader Ginsburg was not able to take the bench during the January oral argument sitting and her current state of health is still in question. Although many are speculating about the actions of the current “conservative” Supreme Court (see these recent examples from CNN, USA Today and The Hill), the court’s specific decisions are still very much up in the air, as are the justices’ decision-making processes. Earlier this month, for instance, Chief Justice John Roberts surprised many by dissenting in Stokeling v. United States along with Justices Sonia Sotomayor, Ginsburg and Elena Kagan, while Justice Stephen Breyer was in the court’s majority. As this example shows, not all of the court’s close decisions will split the justices 5-4 along ideological lines with Roberts in the majority. The justices reach their determinations in part through reading briefs and in part from participating in oral arguments. The changes on the court – from the addition of Justices Neil Gorsuch and Brett Kavanaugh, to the loss of Justice Antonin Scalia and Kennedy, and also the absence of Ginsburg from the bench — all affect these components. Looking at data from three oral argument sittings – December 2017, December 2018 and January 2019 — we get some perspective on the shifts resulting from the changing faces on the court. We have the departure of Kennedy, the addition of Kavanaugh and the absence of Ginsburg all built into these months of data. 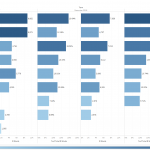 We begin with a look at how the changes to the court affected the justices’ spoken word counts across these sessions. 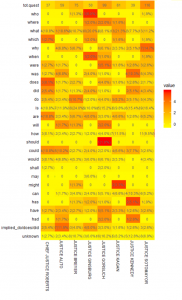 The changes to the justices’ relative word counts are noticeable in a few areas. Kagan took the biggest leap after Kennedy’s departure, moving from speaking around 11.5 percent of the justices’ words to over 18 percent of them. Justice Samuel Alito also spoke more after Kennedy’s departure, although he dropped off a bit in the January sitting. Roberts showed a mild increase as well. Sotomayor’s word counts, on the other hand, were cut almost in half across the same period. Although Ginsburg was the least talkative of the justices in the December 2018 sitting, she still spoke almost 7 percent of the justices’ words. This 7 percent was then redistributed among the remaining justices in the January sitting. Interestingly enough, the three more liberal justices on the court persisted as the most vocal justices at oral argument even without Ginsburg and on a court where the ideological center is far to their right. Words spoken give a sense of the justices’ presence at oral arguments, although they provide little context, because words can be utilized for many purposes. Question counts (given by sentences framed as questions in the oral-argument transcripts) tell us more about how active the justices were in trying to extract information (or concessions) from the arguing attorneys. The most telling shifts across these periods may be those for Sotomayor and Alito. Sotomayor has been the lead questioning justice for many recent sittings. 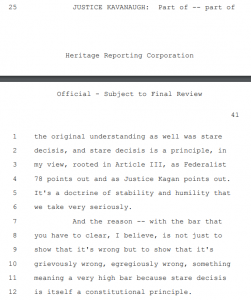 She took a back seat in December 2018, however, as Alito usurped the role of lead questioner in that sitting. 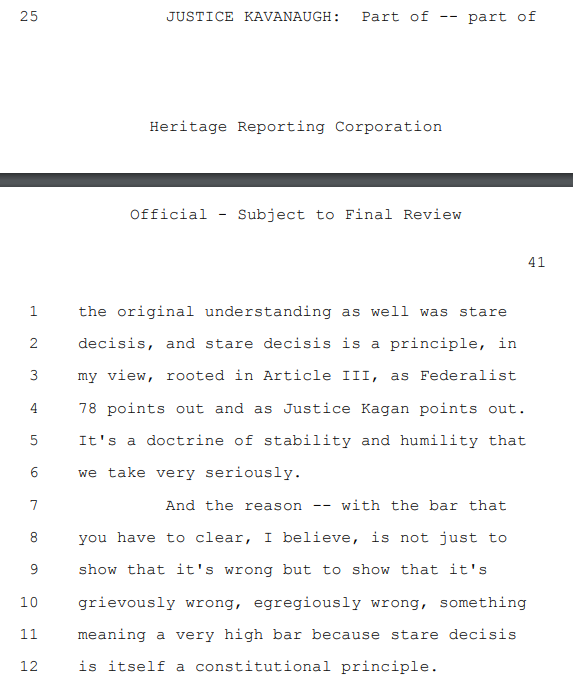 Kagan and Breyer both asked a greater percentage of questions in the sitting without Ginsburg, possibly picking up some of the liberal slack. Roberts and Kavanaugh have both stayed fairly consistent with the percentage of the justices’ total questions they asked across the last two sittings. A third oral-argument metric, words per utterance, shows the extent to which the justices made use of their speaking opportunities. In some instances this relates to efficiency, while in others it shows differences in verbosity. Kagan took the biggest jump from the first sitting in the figure to the third. Alito, on the other hand, dipped after the December 2017 sitting. Kavanaugh’s increase from December 2018 to January 2019 is especially notable, as it suggests he is taking a greater role in his talking turns even if his overall word counts are not increasing significantly. To probe these differences in more detail we can look at the types of questions the justices asked. Different question types are designed to elicit different types of responses and information. First a look at the types for December 2017. Kennedy was a leader in asking “has” and “was” questions in this period. Ginsburg took the biggest number of “who” type questions and was one of the leaders of “what” questions as well. Here is an example of Ginsburg’s “who” questions from Masterpiece Cakeshop, Ltd. v. Colorado Civil Rights Commission. “What” questions tend to be the leading type of question across sittings. Gorsuch was a main contributor to “have,” “will” and “were” type of question, while Alito was a leader in “do, does, did” questions. 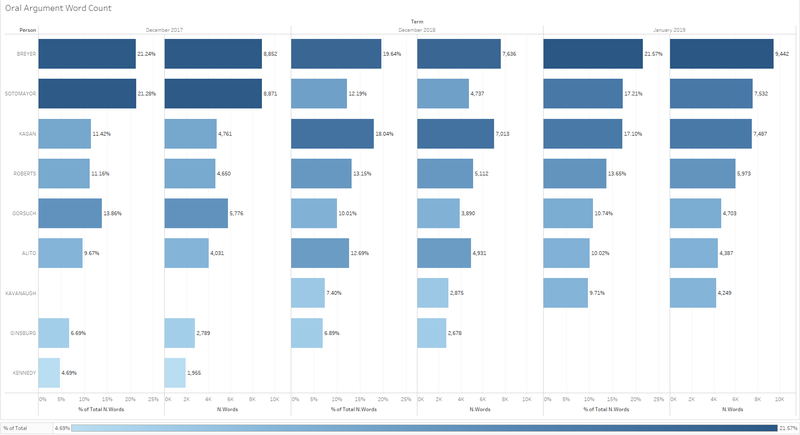 We can track changes in these question types by juxtaposing this figure with one based off data from the January 2019 sitting. Sotomayor was the only justice to have a “had” question during this sitting (she had three), although the rest of the justices all had “have” questions. Gorsuch was a leader in “would,” “are” and “why questions. Kavanaugh led the way with “do, does, did” questions and with “is” questions. 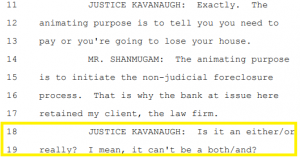 Here is an example of a Kavanaugh “is” question from Obduskey v. McCarthy & Holthus LLP. 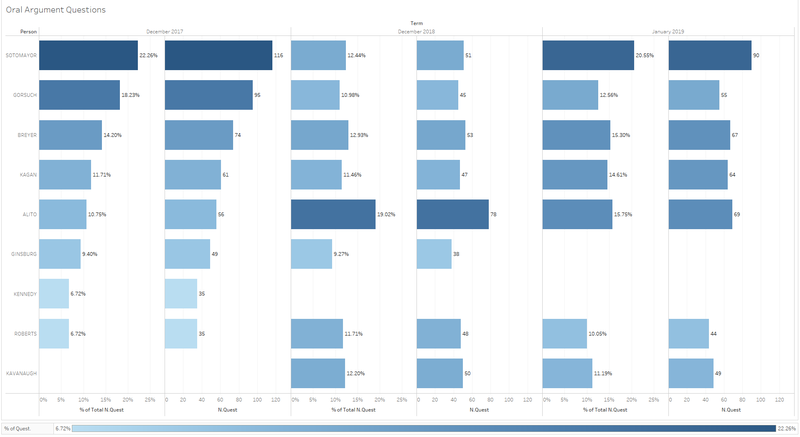 Of course, question-type counts tell little about the substance of the justices’ questions. We can get a better sense of substance through a look at the justices’ actual word choices. Specific word counts can be modified a bit by looking at differential word counts between justices of interest. This shows us substance in terms of areas in which certain justices are perceptibly more interested than others. The two justices’ word differentials I examined were between Kavanaugh and Gorsuch and Kavanaugh and Ginsburg. This then tracks changes to the court’s composition between December 2017 and December 2018 with the addition of Kavanaugh and between December 2018 and January 2019 with the absence of Ginsburg. 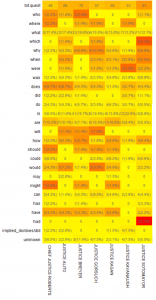 The tables each show the top words based on the different usage by the two justices. For example, if Gorsuch said “travel” 15 times and Kavanaugh said it 16 times, this would likely not show up even though both justices had high usage of this term. Instead we might hypothetically see “process” if Gorsuch said it 15 times and Kavanaugh only said it three times. 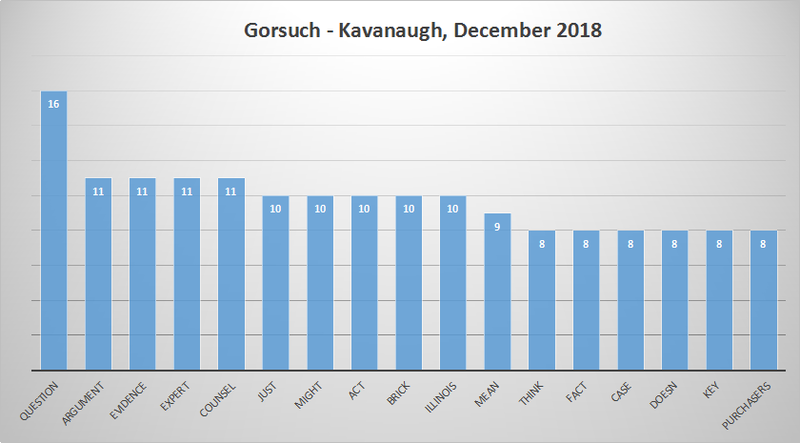 First a look at the differences based on words Gorsuch used more frequently than Kavanaugh in the December 2018 sitting. Gorsuch tends to be the justice who most frequently refers to “counsel” in his questions and statements. 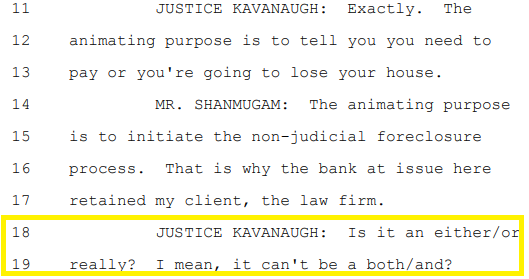 He was quite involved in the arguments in Biestek v. Berryhill, when he asked multiple questions related to “experts” and “evidence.” Kavanaugh only took three short talking turns in these arguments and did not use either of these terms. Gorsuch also frequently refers back to specific “question[s]” as he does in the example below from oral arguments in Timbs v. Indiana. 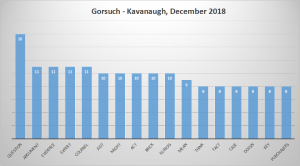 Kavanaugh’s differential from Gorsuch’s (where Kavanaugh’s relative usage was greater) for the December 2018 sitting looks like the following. Kavanaugh had several questions about differential treatment of federal and state employees in Dawson v. Steager. He (unlike Gorsuch) also pursued several questions about motions for reconsideration in Nutraceutical Corp. v. Lambert. The differences between Ginsburg’s and Kavanaugh’s term usages also highlight some of the justices’ relative foci. First a look at terms Kavanaugh used more frequently than Ginsburg during the December 2018 sitting. Notice that “employees” and “reconsideration” are at the high end of this figure as well. Kavanaugh also focused on the extent that entrenched understandings such as stare decisis must be “wrong” to pursue change from them in Gamble v. U.S.
Ginsburg had a higher relative usage of the following terms than Kavanaugh. She asked several questions about the permission to “appeal” and “final judgment[s]” in the Nutraceutical Corporation case. She also asked questions that involved “I thought” more frequently than Kavanaugh during this sitting. These differences point to examples of areas in which certain justices place much more emphasis than others. These are important to the justices’ ultimate individual decisions along with their alignments in each case. They point to the justices’ topics of interest and portend where they might look in future cases. Perhaps most importantly, they show how justices think differently from one another, and this helps assemble a fuller picture of the components that make up the court’s opinions. 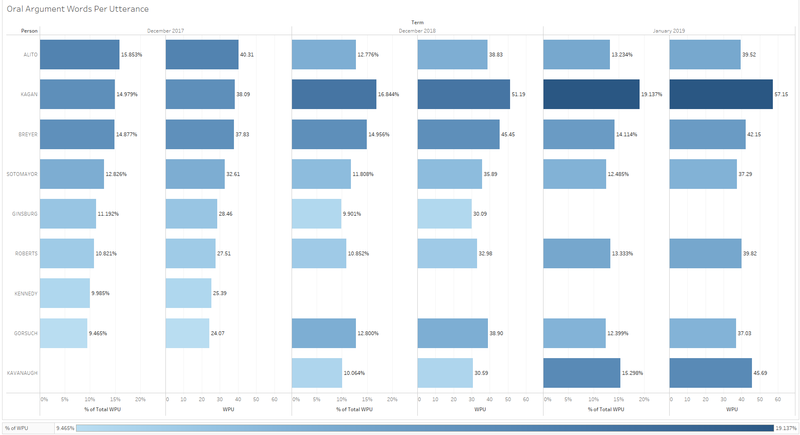 Although we can also look at the justices’ speaking trends in isolation to show their particular areas of emphasis, this provides less information about the relative importance of terms to particular justices. 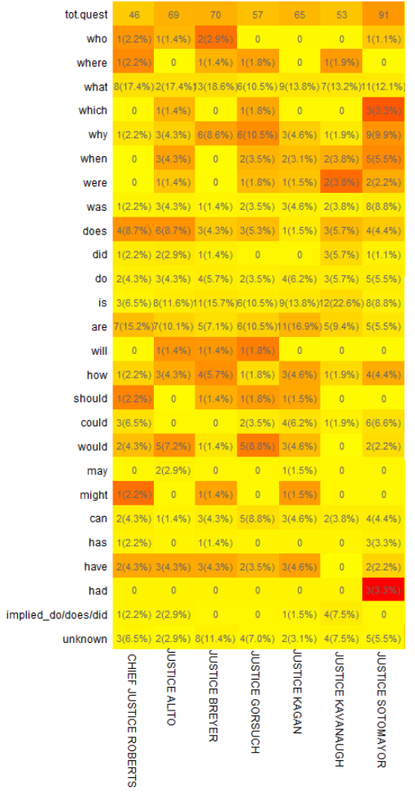 Such isolated text data still gives us insights like the fact that Kavanaugh said “think” 34 times during the January 2019 arguments. He also referred to the “Race Horse” case (Ward v. Race Horse) 17 times in the Herrera v. Wyoming arguments that took place in the same sitting. 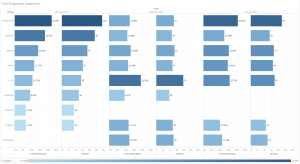 The ongoing changes on the Supreme Court will continue to disrupt stability in the oral-argument statistics and the court’s ever-changing caseload will shift the justices’ subjects of interest as well. Even with the changes, we should expect Breyer, Kagan and Sotomayor to take the bulk of speaking opportunities at oral argument based on their past conduct. By tracking these similarities and differences we can locate not only whether but also how the justices participate in oral arguments. This is especially important for gaining a greater understanding of the court’s newest addition, Kavanaugh, as he has only written one majority opinion and so has revealed little about how his decision-making will ultimately affect the court’s outcomes. 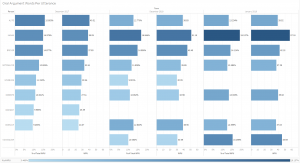 The post Empirical SCOTUS: Looking back to assess the potential future of oral arguments appeared first on SCOTUSblog. Confidence in judiciary drops, poll finds; which SCOTUS justices are favorites?